One of the most popular comedians of radio and television, Grace Ethel Cecile Rosalie Allen was born on July 16, 1895, in San Francisco. As a child, she learned traditional Irish dancing from her father, and at 14 she made her vaudeville debut. With her three sisters in an act called “The Four Colleens,” she was soon touring the vaudeville circuit throughout the United States. By the time they reached New York City, all the “colleens” but Grace had dropped out. As an emerging star, she asked for better billing and quit when her demands were ignored. Unable to find good bookings on her own, Allen contemplated quitting show business and enrolled in secretarial school. But she changed her mind in 1923 after meeting George Burns, then an unsuccessful vaudevillian. The two decided to perform as a comedy team in an act crafted by Burns. 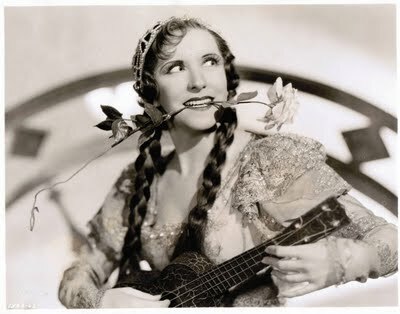 Initially, Allen was the “straight man,” but after seeing audiences respond to her comic timing, Burns reversed their roles. As they refined the act, the character of Gracie emerged as a genial scatterbrain, whose non sequiturs and malapropisms tested the patience of her reasonable boyfriend, George. Although other female comics played it dumb, Allen’s Gracie was unique. The act eschewed outrageous costumes and pratfalls, instead relying almost exclusively on verbal humor. The laughs also were prompted less by Gracie’s stupidity than by her bizarre perspective on the world. As Burns once explained, the humor in her “logical illogic” grew out of that fact that “Grace played her as if she were totally sane, as if her answers actually made sense. ”Soon after marrying in 1926, Allen and Burns became one of vaudeville’ s hottest acts. In addition to headlining at the United States’ s best vaudeville theaters, they became stars in England during 1928 and 1929. There they made their radio debut on the BBC, an engagement that was extended for 20 weeks. Despite their success abroad, Allen’s high voice was deemed too squeaky for American radio until fellow vaudeville star Eddie Cantor invited her to be a guest on his radio show. As a team, Allen and Burns became the regular comedy act on bandleader Guy Lombardo’s program. 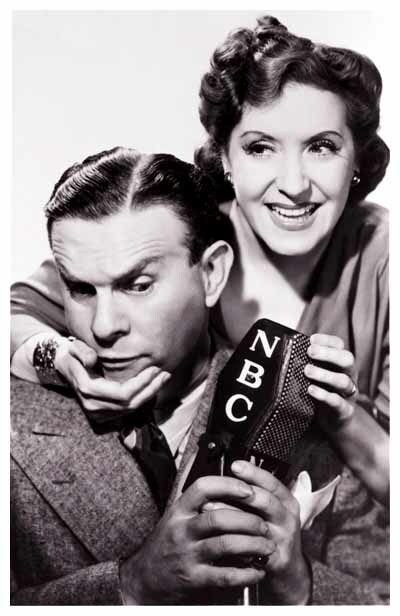 In 1932, they received their own show, The Adventures of Gracie (later renamed The George Burns and Gracie Allen Show), which became a favorite with listeners throughout the 1930s. Although their radio work was more popular, Allen and Burns also appeared in 15 short films and features during this period. Allen starred in three other films, including The Gracie Allen Murder Case (1939), which made her the first American actress to have her name appear in a movie title. Throughout Allen’s life, Burns was the driving force behind her career. Working with a team of writers, he produced their radio scripts, giving them to Allen on the day of the show. The system allowed her to maintain a fresh take on their material, giving her performance an improvisational feel that contributed to her appeal. Still, for all his work behind-the-scenes, Burns always attributed their popularity to Allen’s comic talents. “Gracie was the whole show,” he once bluntly explained. Alarmed by a dip in ratings, Burns retooled the show in 1945, abandoning his and Allen’s old routines and reworking the program into a situation comedy. In 1950 he also insisted that they adapt the show to the new medium of television despite Allen’s discomfort performing before a camera. Their show was a hit and was later credited with many innovations, including having the characters break the “fourth wall” by talking directly to the camera. For Allen, however, the show became increasingly taxing. She was plagued by migraine headaches and other health problems, which Burns felt were the result of the “chronic strain of making like someone [she wasn’t].” At her insistence, the show ended in 1958 after 299 episodes. Allen spent her remaining years entertaining and spending time with her and Burns’s two adopted children and their grandchildren. An often reluctant performer who nevertheless conquered vaudeville, radio, and television, Allen died of a heart attack in Hollywood on August 26, 1964. 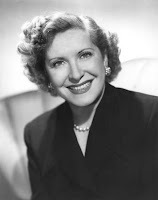 In 1997 American Women in Radio and Television acknowledged her trailblazing contribution to American popular culture by naming its highest honor the Gracie Allen Award. Blythe, Cheryl, and Susan Sackett. Say Good Night, Gracie! : The Story of Burns and Allen. New York: Dutton, 1986. Burns, George. Gracie: A Love Story. New York: Putnam, 1988. Clements, Cynthia, and Sandra Weber. 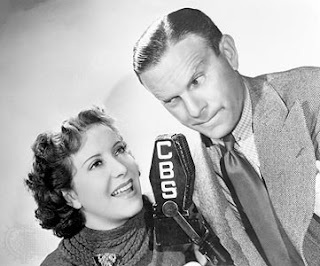 George Burns and Gracie Allen: A Bio-Bibliography. Westport, Conn.: Greenwood Press, 1996. The Burns and Allen Show (1950). Columbia/Tristar, VHS, 1996.